Thyroid Symptoms in Women - Dr. Nikolas Hedberg, D.C.
Thyroid symptoms in women are sadly prevalent today. In general, women are more vulnerable to thyroid disorders than men for a variety of reasons. It is estimated that as many as ten percent of women suffer harmful effects from underactive thyroid, a condition also known as hypothyroidism. Thyroid symptoms in women are more frequently caused by the autoimmune disease Hashimoto’s Thyroiditis. Up to ninety percent of all cases of hypothyroidism are caused by Hashimoto’s Disease, an autoimmune disorder that is about seven times more likely to affect women than men. 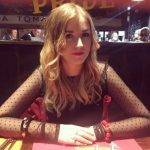 Why are women more prone to thyroid disorders than men? Women experience autoimmune disease at a higher rate than men due to many factors. Excessive estrogen levels can lead to autoimmune disease because high estrogen causes immune system problems. Epstein-Barr virus is a common cause of Hashimoto’s disease and too much estrogen inhibits the body’s ability to fight this virus. Women also experience higher levels of inflammation compared to men when they are under stress. Relationship stress, family stress, conflict, lack of sleep, weight gain, and social isolation with loneliness increases inflammation in women to a greater extent than in men. This causes chronic inflammation which is a key factor in developing autoimmune disease and hypothyroidism. You will not necessarily have all of these common thyroid symptoms in women. There are many causes of hypothyroidism and each one will lead to different symptoms in different patients. The most common Western medicine approach to treating low thyroid symptoms in women is thyroid hormone replacement. Most physicians prescribe medications that treat or mask symptoms but do not deal directly with any of these underlying causes of disease. Thyroid medication is prescribed for hypothyroidism that is non-autoimmune in nature as well as for Hashimoto’s disease. But there is no treatment for the autoimmune component if you have Hashimoto’s thyroiditis. This is where functional medicine is extremely valuable because it searches for the underlying causes of the thyroid problem for both types of thyroid issues. If you are looking for a natural solution for low thyroid symptoms in women, consult with Dr. Nikolas Hedberg, a practitioner of functional medicine. Functional medicine is a holistic approach to wellness that does not reduce a patient to a single organ, but instead addresses the whole person. 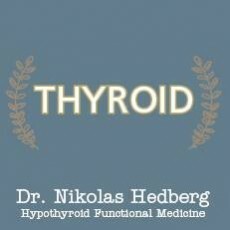 Dr. Hedberg investigates all the possible underlying causes of low thyroid symptoms in women by comprehensively evaluating each patient’s health history, environment, diet and nutrition, exercise level, psychological and emotional state, social interactions, hormone levels, digestive health and genetics. If you are ready to partner with a practitioner who seeks the underlying causes of thyroid symptoms in women, and then creates a treatment plan that might recommend changes to diet, supplementation, herbal medicine or natural hormones, then make an appointment to consult with Dr. Hedberg in his office or via a virtual health consultation. What’s the Link Between Thyroid and Hair Loss?